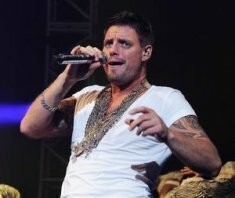 Details of the Irish singer’s death remain unclear, but it is believed he died on Saturday (10Oct09) in Majorca, Spain, where he was on vacation. Last year (08) Gately reunited with Ronan Keating and the other members of Boyzone, who are planning to fly to Majorca to mourn with the singer’s family and friends. The pop star hit the headlines a decade ago when he ‘came out’ as a gay man. In March, 2006 he wed his partner Andrew Cowles in a civil union. Born in Ireland in 1976, Gately joined Boyzone in 1993. As well as his career with the boyband, Gately also enjoyed solo success and hit the stage as the star of London’s Joseph & The Amazing Technicolor Dreamcoat.